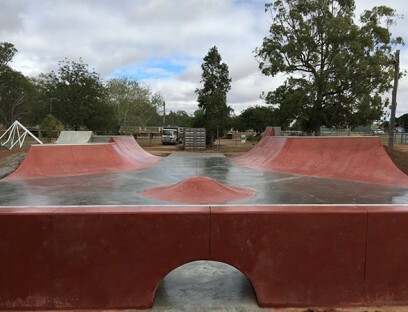 Precision Skate Parks Pty Ltd have a proven track record for providing the best in value and quality for the design and construction of concrete skateparks, including small and large-scale projects for rural and urban settings. Our services commence with project investigation, including scoping, site analysis, budget and timeline estimates, entry level consultation, and concept design. 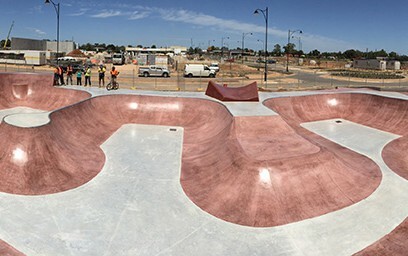 This is followed by a detailed design process, which upon completion, provides the client with construction drawings, structural detail, independent certification, and landscape and infrastructure detail. Finally the project implementation phase commences. 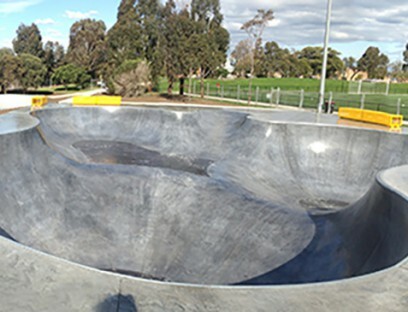 This phase of the project is carefully managed by Precision Skate Parks, with the implementation of quality assurance plans, environmental protection documents, Health and Safety documents, site management plans, ongoing risk assessments, and a formal site handover, all of which ensures delivery of a high quality skatepark. 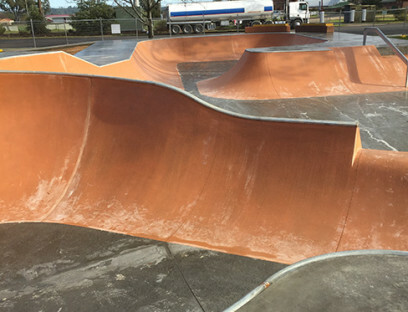 The strength of Precision Skate Parks is its ability to understand the client requirements, provide innovative solutions, and guarantee high quality cost effective project delivery. 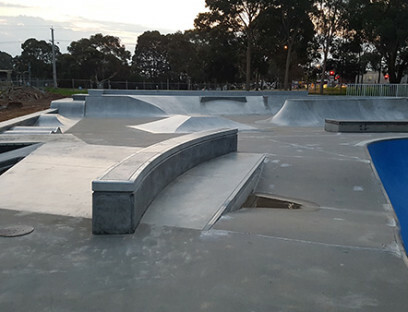 Precision Skate Parks actively monitor developments and trends within skatepark design and construction, providing long term skatepark solutions that meet the needs of both users and Council. 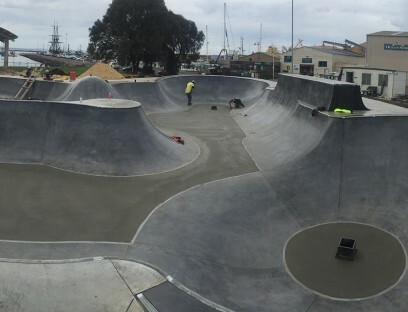 Precision Skate Parks are now manufacturing custom made concrete coping tiles made to order. Contact us for more information.